This page gives details of our permanent doctors. The page may not always be up-to-date with regards to our gp registrar doctors (gp's in training) who rotate through quite frequently. Locum doctor details are also not included here. Some doctors prefer not to have personal details or photos published for security or other personal reasons and we respect their wishes in this regards. Dr Georgina Deighton trained as a medic at the Royal Free Hospital in London. Following qualification, she travelled to Australia where she worked in remote areas for two years before returning to the UK. She has an interest in womens' and children's health and also in dermatology and holds postgraduate qualifications in these areas. She is also a trainer for general practice and has been for the last five years. She is involved in the Clinical Commissioning Group as lead for a local syndicate of GP practices. She has worked as a GP at Ferryview health centre in Woolwich since 2001 and enjoys the diversity of this area of London.She joined as a GP Partner from April 2014. She works part time and is currently in the practice on Tuesdays, Thursdays and Fridays. 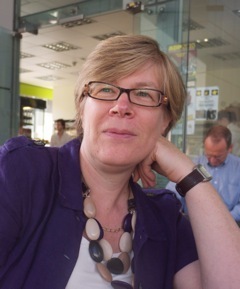 Dr Sarah Divall is one of the original partners having been involved in the set up of our practice over 25 years ago. Sarah trained at Southampton University and did her GP training in Huntingdon before moving to London to work in more urban areas. Sarah now works part time as a GP and spends the other half of her week in medical education and organizational development. She is the Associate Director for GP vocational training for the GP School. Sarah is proud to be a generalist and believes that the strength of general practice is that the doctor is able to take a holistic overview of all aspect of health. She is more likely to be working with people who have complex medical ,psychological and social needs than doing minor surgery! Dr Divall only works on Wednesday. Sarah is married with 3 (almost ) grown up children. Sarah enjoys reading, gardening the theatre and art. 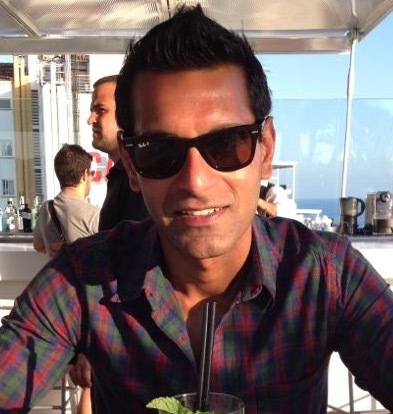 Dr D'Souza has moved down from West Yorkshire and joined us in January 2016. His interests outside Medicine: He hopes to get a private pilot’s licence when finances and time permit! He has taken ONE lesson in last 5 years towards his qualifying 50 hours !!! 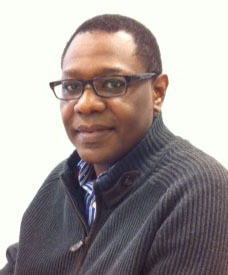 William is our GP partner lead for Human Resources. He is also our Registered Manager with the Care Quality Commission. He trained in Ukraine when it was part of the former Soviet Union, followed by further NHS experience in the UK. He speaks fluent Russian. William joined the Valentine team in the year 2000. He works full time and is in practice most days except Thursdays. 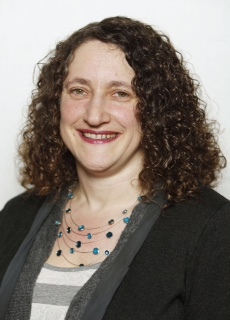 Dr Rebecca Rosen has been a GP in the Valentine Partnership since 2000 and became a partner in the practice in 2013. She studied Medicine in Bristol and initially trained in public health before qualifying in general practice. She has a clinical interest in Asthma and COPD and in improving the quality of care for people with long term conditions and other complex problems. She is a Senior Fellow at the Nuffield Trust, where she undertakes research about health policy and the impact of heatlh services. She is also a member of the governing body of the Greenwich clinical commissioning group. Her Clinic dates are usually on Tuesdays (FV) and Fridays (FS). Dr Afraz Sheikh joined us in November 2015. Since qualifying in 2007, he initially trained in Anaesthetics and Intensive care. But lack of face to face patient contact prompted his switch to General Practice in 2011.He has been practising in Bexleyheath and has been the lead in Mental health for the Borough. His main special clinical interest lies in Mental health. Outside of Medicine, he enjoys travelling, working out in the gym and taking his dog out on long country walks. Afraz is excited by his move to Ferryview and is looking forward to working with us in the many challenges we face. Dr Kara Tanega is of Irish descent and married with 4 grown up children one of whom is disabled. She undertook Undergraduate studies at Oxford University and obtained a BA in Psychology and Physiology before transferring to London, Guys Hospital for clinical training to complete her MB BS medical degree. She has additional qualifications in Counselling, Systemic Family Therapy and Family planning services. She is currently the main fitter of IUCD (Coils) in the practice. She has lived and worked in South East London since qualification. After completing GP training, she worked in Community Child Health for 3 years before joining the Valentine Practice. ( then Market Street Health Centre), She has been a partner in the practice for over 18 years. Her medical interests include Child Health, Family Planning, Health Promotion, Learning Disability, Mental illness and Asthma and also inter-generational holistic care. Outside of medicine she volunteers in Youth Football as a qualified football referee and youth secretary to a local football club. Her hobbies include reading and swimming when time allows. Special Interests in Substance misuse, Joint injections & Subdermal contraceptive implant fitting and removal. Dr Tran has worked with us for over 5 years and has been a partner since 2013. He is also a GP VTS trainer. He works full time and he speaks fluent Vietnamese. He is married with 2 young children and enjoys playing Badminton in his spare time. Tuan says: "I really love working as a GP. I value the professional relationships that I have formed with my patients and with other members of their family. I relish the variety of challenges that I am faced with, and get a lot of satisfaction from being involved in the training future GPs. I feel rewarded when I see the relief in older Vietnamese patients when I am able to consult with them in their native language.I believe that GP's have a very special position in helping and supporting patients and this is an aspect of my work that I very much enjoy." Valentine Health Partnership is a Training Practice. You may from time to time be asked to be involved in teaching activities. This may include video consultations. All video consultations are only used for teaching purposes and are destroyed within one month. This is entirely voluntary. If you prefer not to be involved please tell us. What are Clinical Micro Teams? This does not prevent you seeing any doctor of your choice. However, all patients now have a named GP and it will be quite useful for you to acquaint yourselves with your named GP and their buddy clinicians who can provide a better degree of continuity of care especially for long standing or chronic problems and conditions. The "Brook" clinical subteam will be predominantly based at the Holburne Road surgery and you may find it easier to see these doctors there than at Ferryview Health Centre. Valentine Health Partnership has an Integrated Nursing Team. The team consists of Practice Nurses and our Clinical Admin Team. The teams are managed by the integrated nursing team managers. As of September 2015, we do not directly emply our Health visitors anymore and they have moved over to work under a CCG wide provider. They are still based at Ferryview health centre and we continue to work very closely together and hold regular liaison meetings especially in cases of child protection concerns. BA (Hons) Nursing (RN Adult), Specialist Practitioner (PG Dip Community Healthcare - Practice Nursing), Non-Medical Prescriber, Certificate of Education, Nurse Prescriber. Asthma Diploma, Contraception & Reproductive Sexual Health Practice. Ph.D, M.St (Oxon), B.A(Hons)French, SRN, SCM, RCNT, RNT, Independent Nurse Prescriber, Special interest in Asthma COPD and assessment of minor illness. BSc (Hons) Nursing Studies, Diploma in Pain Management. NVQ Level 1 Health Care.